About two weeks ago we decided we needed to get out of town for a weekend. We have not had a vacation in what feels like forever and I needed to get the heck out of dodge. 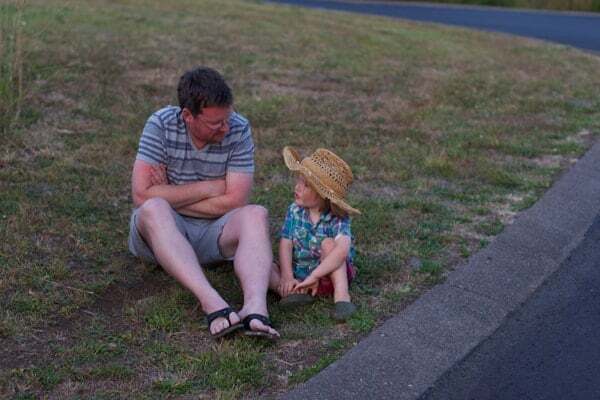 I wanted the coast, to be near the ocean, and to have as quiet of a getaway as possible (you know, as quiet as it can be with two toddlers!). Not having spent much time on the Oregon coast I polled my friends for their recommendations. They ranged from Lincoln City all the way up to Seaside. They all sounded fantastic. We attempted to go through VRBO but none of the nearly 15 requests we put in were available (even through they said they were on the website!). 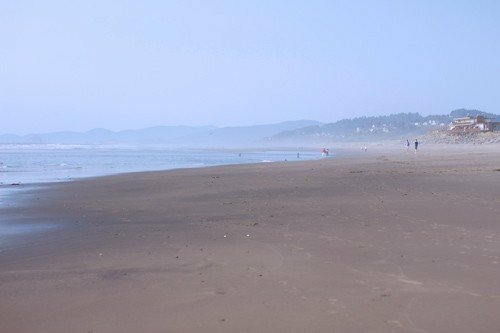 I almost gave up on my dream for a quiet beach weekend when a friend recommended Neskowin Beach Vacations (or Grey Fox, Inc. Vacation Rentals). So I gave them a call. They couldn’t have been more helpful on the phone. They immediately knew which properties were available for the weekend and answered all my nit-picky questions that their website left unanswered. Picked a place, done. The house and the view made up for the lack of easy beach access. So did the amenities in this comfortable and fully equipped 2-bdrm townhouse. And by amenities, it had it all, including a great and sharp kitchen knife collection for us foodies, a grill, and everything you need to cook pretty much anything you want to cook. It even had these heart shaped cookie cutters. Since this was a newly developed property everything from the appliances to the linens and towels to the furniture felt new, fresh, and clean. They even had an assortment of board games and DVD’s to enjoy. For more information on the house and the vacation rental property, contact Grey Fox, Inc. Vacation Rentals. I have no doubt they will take good care of you. 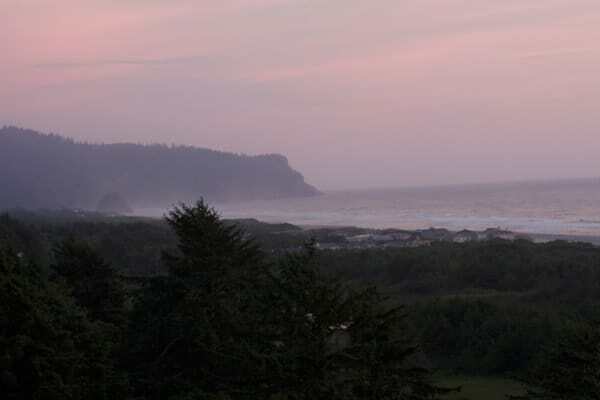 We rented property #163 in the Neskowin Hills / Sahhali Shores. Neskowin. OMG Neskowin! This is exactly what I was in need of — a quiet, peaceful, getaway. Neskowin is a teeny tiny town, with only one shop (good for all your snack needs, plus they had a decent selection of wine and beer), and only one restaurant. The weekend we went was one of the hottest this summer (reaching more than 100 degrees with crazy humidity in Portland), so I knew that all of the larger beach towns were probably crazy crowded. Not Neskowin. Even with the heat in the city, it was still quiet and serene at the beach here. Amazing. The beach also has a creek that runs into the ocean that was perfect for our toddlers to play in. We didn’t have to worry about them running into the harsh waves (and the waves at the actual shore were pretty intense!). The stream was the perfect depth (aka shallow!) and the water flowed at a nice slow pace for the kids to safely play. I was able to sit on a blanket near the creek and watch the kids, and not hover over them making sure they didn’t get swept away! This is important to moms of little ones, meaning I got to actually relax a bit while the tots were having a blast. Knowing the town didn’t have many restaurants we packed all our food at home and cooked easy dinners at the townhouse. We brought pre-marinated meat to cook up on the grill on the back deck overlooking the ocean. * Suggestion: bring your own food to cook there (especially if you know your property, like ours, is fully equipped with all your cooking needs). The title of this wine alone encourages you to celebrate while sipping this, and celebrate we were. This was the perfect wine to start our vacation with. It was super light and fresh with fragrant tropical aromas along with some melon, apple, apricot, and a touch of banana. It was like a tropical drink you’d expect at the beach, without all the sugar, and much more light and refreshing. We sipped it on the deck overlooking the ocean while the tots napped, but it would be equally great with light salads or brunch with friends. Moving on that evening we grilled up a marinated flank steak to serve alongside this rich Cabernet Sauvignon. This was a powerful wine with great structure. It had loads of dark berry fruit aromas and flavors (black berries, blue berries, black cherry, black currants, you name it). It was like berry picking in August in Oregon with some chocolate thrown in. Berrylicious. It also had great structure and acidity with velvety texture, without any harsh tannins. A nice match for the juicy steak. We brought this one to the beach the next day. The only thing that would have made this a better beach wine is a screwcap closure (which it did not have). This was super fruity and refreshing with lots of juicy melon, banana, peaches, and apples with crisp acidity. Fun, flavorful, and crisp. I’ve always loved Esporão for producing a wide range of excellent value wines out of Portugal, and this is one of the reasons why. At this price, it’s a no brainer. Stock up for those remaining warm summer afternoons. Now this wine is a bit of a tease since you’re not likely to find it around here. I bought it while in Cahors earlier this summer and brought it back to enjoy. I was astounded by the quality of rosé wines produced there from Malbec. It’s just not something you expect from the region, but nearly every producer I met made a small quantity (most of it doesn’t enter the US). This was one of the best I tried from the region bursting with beautiful fresh red berry fruit (strawberries, cherries, raspberries) along with some sweet peach aromas. Fresh, clean, floral, and elegant. If by chance you run across this lovely rosé, don’t hesitate to sweep it up! We enjoyed this as another porch sipper while watching an incredible sunset. I simply cannot wait to return. Trips like this, even quick weekend getaways, are necessary for the soul! There’s really nothing more soothing than the sound of the ocean and a cool breeze to bring you peace and rejuvenation. Good wine, food, and excellent company helps too! It was exactly what I needed to feel rested and refreshed. What’s your favorite town on the Oregon coast? I’d love to know! Oh Fun! 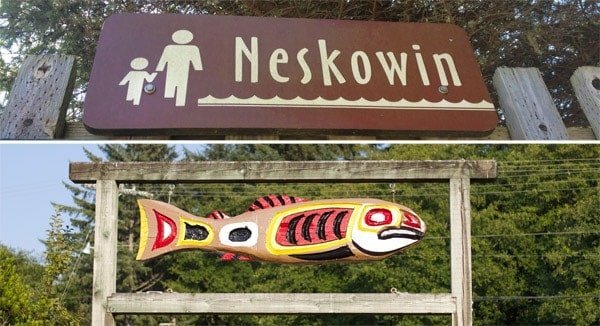 I grew up in Neskowin, so it’s close to my heart. We just spent 7 days in Netarts which is another quiet coastal town near Oceanside. It’s on a bay but at low tide you can walk along the beach to Oceanside and be at the open ocean. Great for kids and also great crabbing! !